"Anything else you're interested in is not going to happen if you can't breathe the air and drink the water. Don't sit this one out. Do something. You are by accident of fate alive at an absolutely critical moment in the history of our planet." I recently had the pleasure of co-hosting the sixth annual fundraiser for generosity.org, an organization "dedicated to ending the clean water crisis in developing countries" by building water wells. 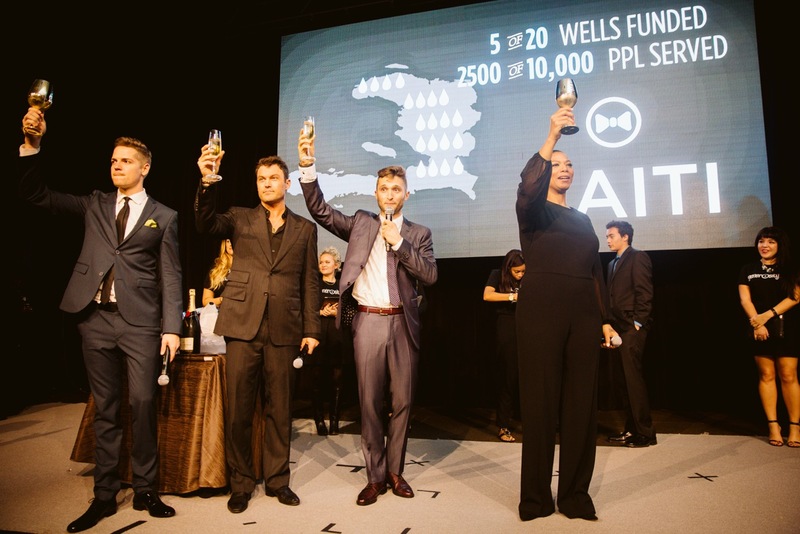 The event was held at the Beverly Wilshire Hotel, hosted by E News, Jason Kennedy and Queen Latifah and honoring Brian Austin Green and Megan Fox, who together have donated thousands of dollars to building clean water wells in countries like Ghana, India and Haiti. 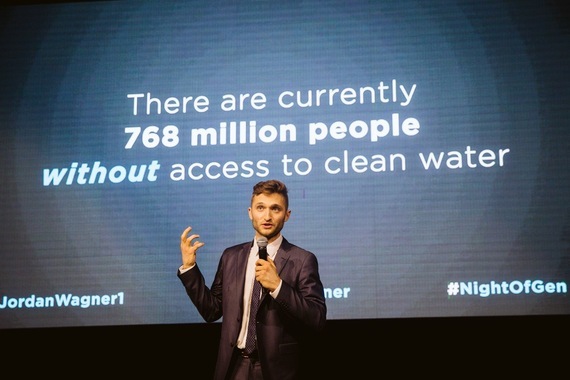 Jordan Wagner, who co-founded the organization with his his father, Pastor Phillip Wagner, is an impressive, passionate young man, who at age 21 went to Africa and walked miles with women and children to collect water from contaminated water sources in ponds and ditches in the ground that were filthy and undrinkable. "You wouldn't let your pets drink from it," said Jordan. From that moment on he was committed to doing what he could to change the urgent need for clean drinking water that affects millions of people throughout the world. He raised money for his first well by asking his friends and family not to give him any Christmas presents, but instead to make a donation to a community in Northan Uganda called "Pece" where about half of the people there had passed away due to a cholera outbreak caused by the contaminated water they were drinking. What struck a personal chord for me about this organization, and why I chose to get involved is that even though we have a severe draught in California, we are blessed with the infrastructure that delivers clean drinking water to us daily, something millions of people don't have. It just reinforced to me the "have and have nots," and the water disparity between first world countries vs. third world countries. I asked myself 'What if we suddenly didn't have water to drink,' which is a concern that doesn't occupy our reality. It's easy to take having clean water for granted because it's available to us 24-7, and even in this serious draught, it's always there for the taking. Have you noticed that the minute you sit down in a restaurant you're immediately poured a glass of water, even if you don't ask for it? It's just a given, but that's clearly not the case for millions of people in the rest of the world. They can't tap into a water source because they literally don't have a tap or faucet to drink from. Generosity.org is changing that. It's building wells so that clean water can pour from faucets to nourish and replenish people and chldren so they don't get dyssentary, cholera or parasites from undrinkable water. 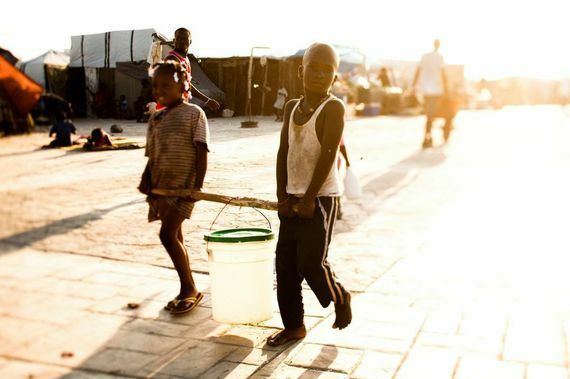 By doing this, it also allows for children to get an education instead of having to spend hours of their time walking 3-5 miles each day to help carry the extremely heavy jerry cans back to their villages. I tried to pick up one of those cans filled with water at the fundraiser and could barely do it. The thought of children lifting them is unconscionable. 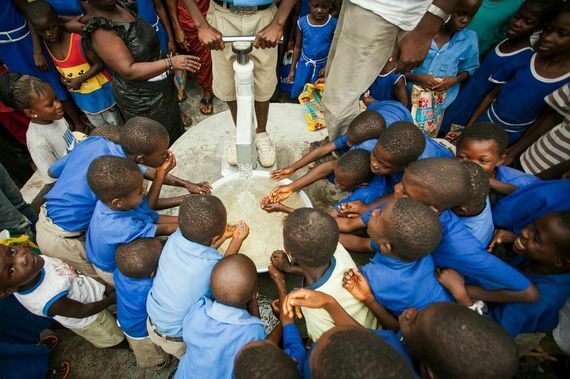 Since they started, generosity.org has funded more than 640 wells in 19 countries around the world serving clean water to more than 350,000 people, and at the night of the fundraiser, so many more people were inspired to get involved. Collectively they donated over $500,000 to fund an additional 75 wells that will serve clean water to an additional 37,000 people around the world. A great way to get involved with this cause is to create a legacy campaign (generosity.org/legacy) where you can create your own fundraising page on your website if you have one, and invite your friends and family to join you by donating to your page. 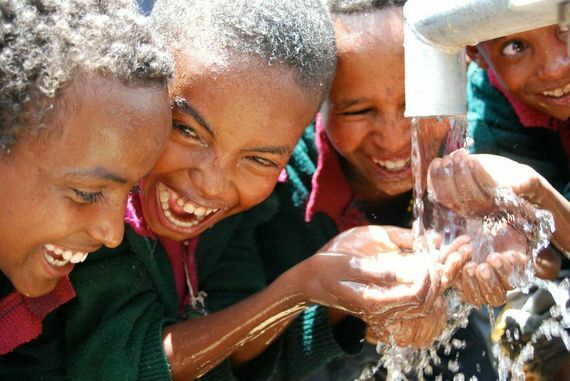 When you successfuly raise $5,000, which is the cost of a well, the organization will send your money to the field and begin working on that water project. When that project is complete, they will report back to you showing you where your money went, which is a complaint many people have about not knowing exactly where their money goes when they donate to a charity, but not the case with this one. Generosity.org/legacy even reports back with GPS coordinates, photos and info of the people and community you helped. Each water project serves an average of 500 people. Check out generosity.org to learn more about it.